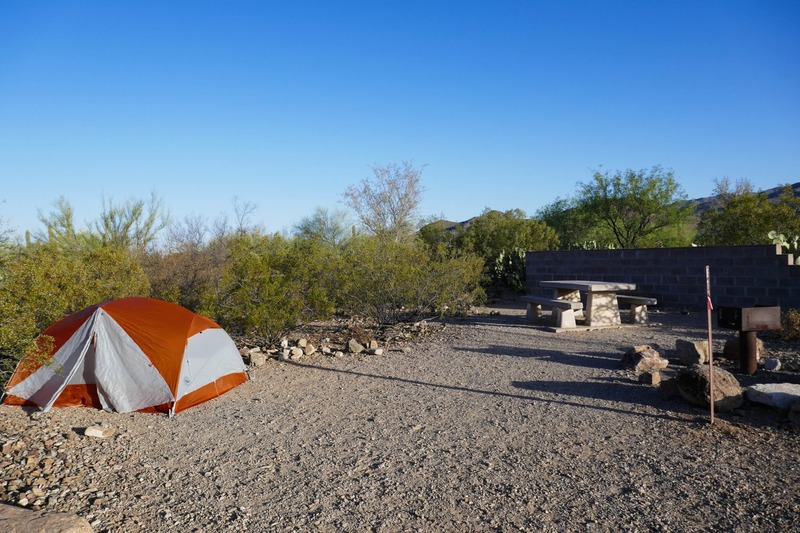 There are no car campgrounds in Saguaro National Park. It’s unfortunate, but thankfully there is one close by. 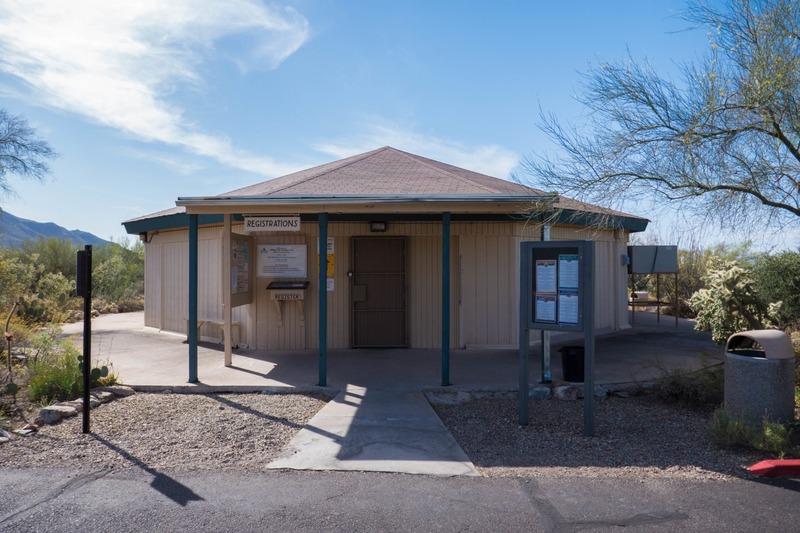 Gilbert Ray Campground is inside Tucson Mountain Park, which is run by Pima County. It’s adjacent to the southern border of the similarly named Tucson Mountain District (that’s the west district) of Saguaro National Park. 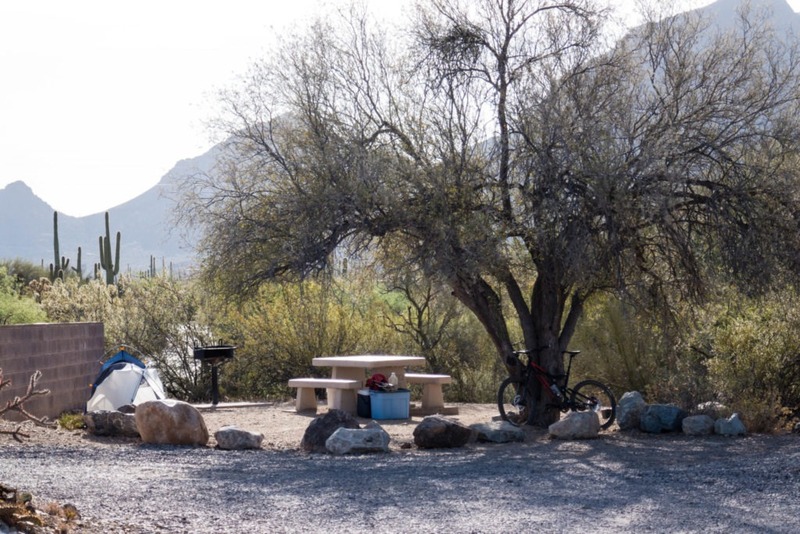 The campground is only 3 miles away from Saguaro NP, so it’s practically part of the park. We used it as our basecamp for the time we were in the Tucson Mountain District, and would stay there two nights. 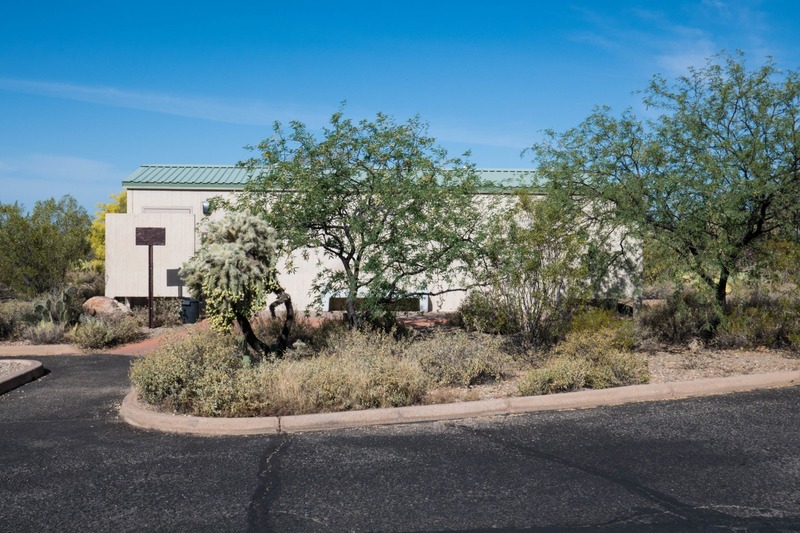 When we flew into Tucson, our first stop was Gilbert Ray. Campers can’t reserve a site ahead of time – all sites are first-come, first-serve, and we wanted to make sure we got one. Usually we’re paranoid and reserve whenever we can. We drove up through the Tucson Mountain Park, along windy roads, past Old Tucson (an old wild west movie set, now a theme park), until we reached the campground. Tucson Mountain Park is gorgeous, and there are plenty of saguaros and trails there as well. Something to explore another time. We arrived at the campground, and checked in at the registration building. The building is closed part of the year, when the weather gets too hot. In fact, a week after we arrived in late April, it would be closed. 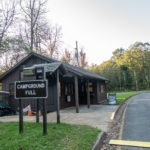 If it’s closed, the campground is still open, but you have to self-register. We talked to the nice attendant, who told us there was plenty of spots available. We made sure to bring cash, as credit cards are not accepted. 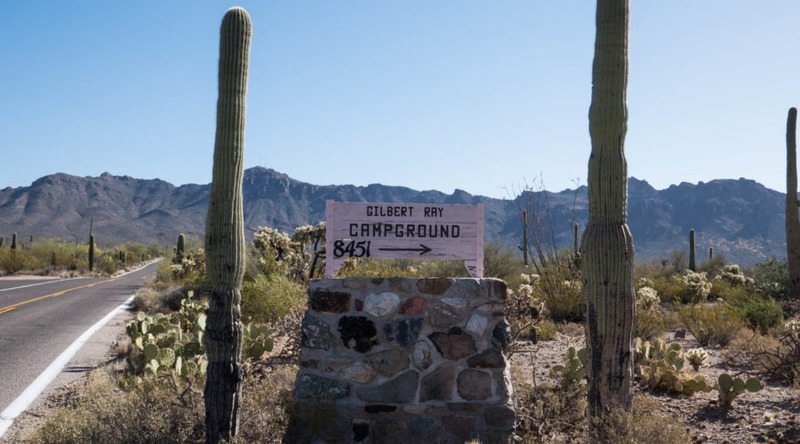 Gilbert Ray is mainly an RV campground, but there are 5 tent-only sites in the B “loop” (of course you could pitch a tent at an RV site too, though tent-only loops tend to be quieter). And luckily, we got site B1, a tent-only site. 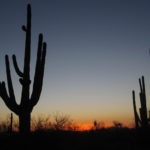 With our campsite secured, we hopped back in the car and headed to the Arizona-Sonora Desert Museum. Afterward, we surveyed our site and started setting up our tent. 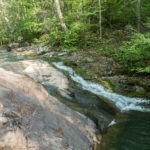 B1 has a concrete picnic bench, a grill, and it shares a water faucet with two other campsites. The neighbors were relatively close, but they were quiet. Another nearby site had an RV, but they turned off their lights and generator around 9pm, so it didn’t bother us. We didn’t have much shade at our site, but we wouldn’t be there much during the day anyway. Tent-only site B3 did have shade, so we would recommend that to visitors. The bathrooms were a few minutes walk away. No showers, sadly. 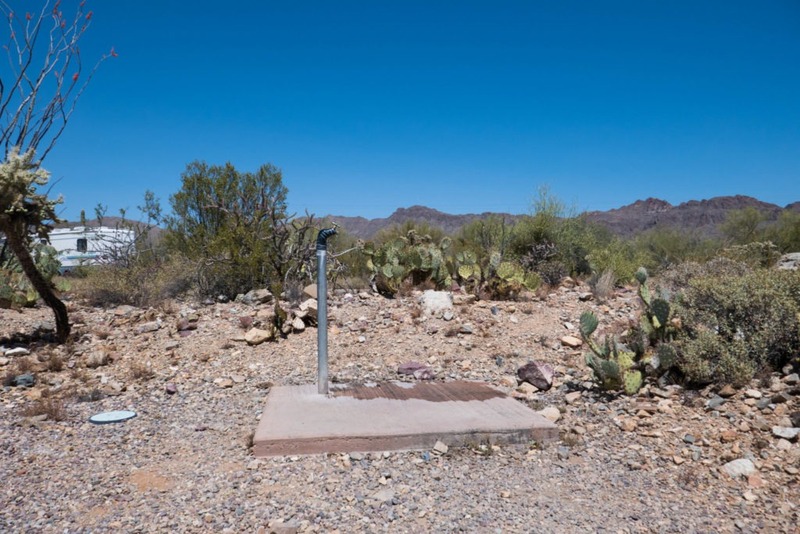 Our site was surrounded by saguaros and other desert plants, and had a gorgeous mountain view. That evening, we also had a clear view of the night sky. Later in our trip, we would attend a Star Party, a ranger program about the night sky in the Tucson area (which we highly recommend). We fell asleep in the peace and quiet of the desert. On our second day in Saguaro, we woke up at 5:30 a.m. to an assortment of desert birds (and possibly other animals) making chirping sounds. This was amusing to us, since it was like nothing we’d heard before. This motivated us to get up a little earlier than usual, which was a good thing, because it gets hot FAST! When we finally left our campsite, around 8:30 a.m., it had already gotten decently warm. We only had one more full day of exploring the west district, so we should have left earlier. 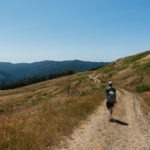 The hike for that day was to Wasson Peak, and it was going to be a long one. We highly recommend staying at Gilbert Ray. 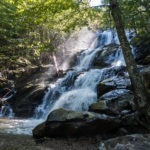 It’s a quiet campground, with beautiful surroundings, good amenities, and it’s in a good location. Just make sure you get an early start, so the heat doesn’t creep up on you (depending on the season, of course). We’d recommend the tent sites too, if you can get one. Notes: Reservations are not accepted; first-come, first served. Seven day stay limit. Busy season is November through April. Check-out is 11:00 a.m. Wood fires are prohibited. Exact fees (cash or check) required, credit cards not accepted. If available, we recommend tent-only site #3, since it has some shade.